We received 3 entries on submission day (20th August 2018). During the three days of voting on Twitter, the 3 entries received a combined total of 49 “likes”. 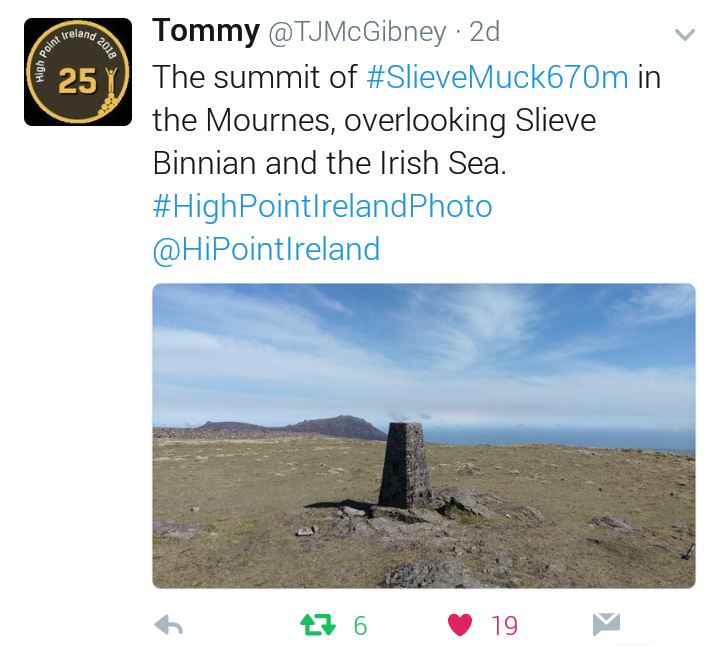 Of these, 19 were received by the winning photo of #SlieveMuck670m submitted by Tommy McGibney (@TJMcGibney). Congratulations Tommy! 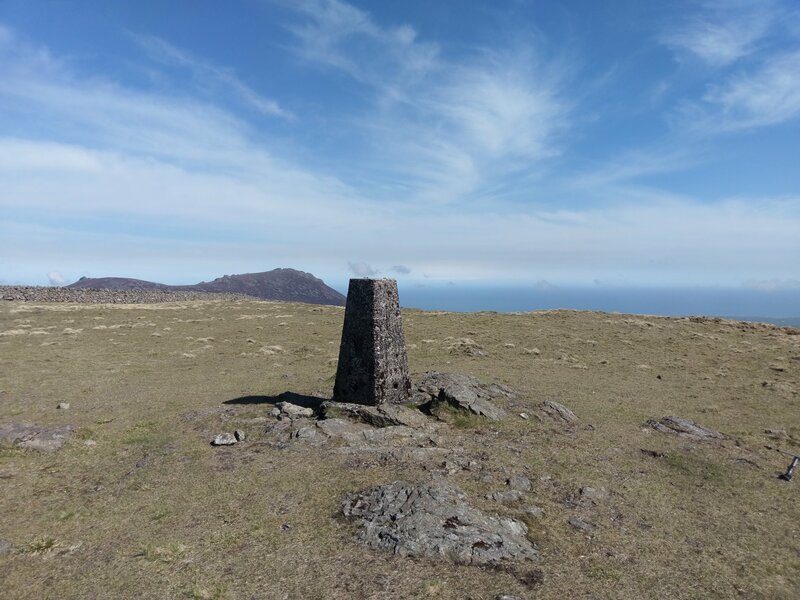 Your photo will now be displayed permanently as a winner at the bottom of our photo competition page. 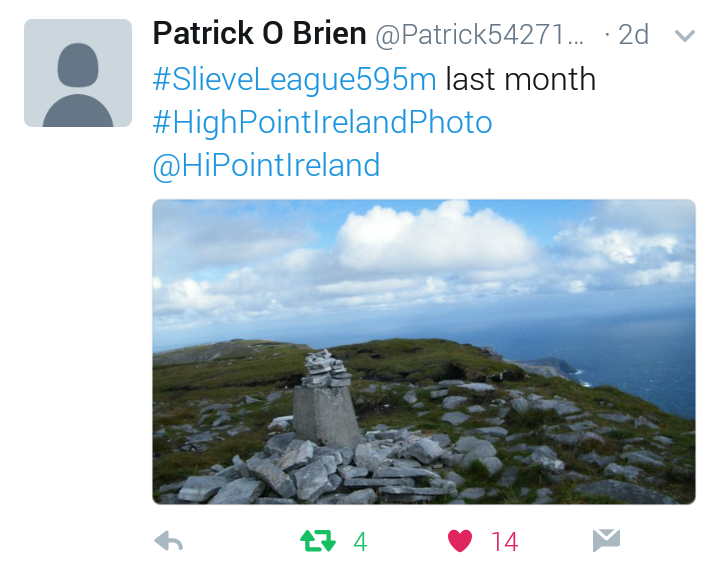 It is also the third finalist in our 2018 High Point Photo of the Year awards competition. 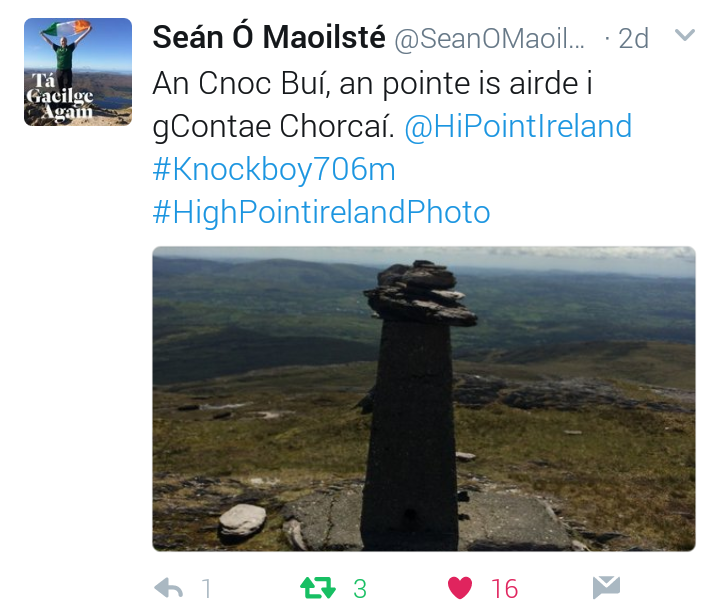 Thanks to all 3 entrants for taking part, and to everyone who voted for their favourite in this round of the 2018 #HighPointIrelandPhoto competitions. If you would like to take part in the fourth round of this year’s competitions, entry submissions will be accepted on 20th November 2018.